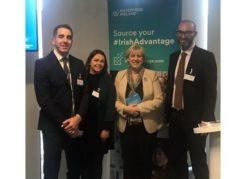 On June 12th, Enterprise Ireland hosted a Seminar on Business Opportunities with the World Bank. 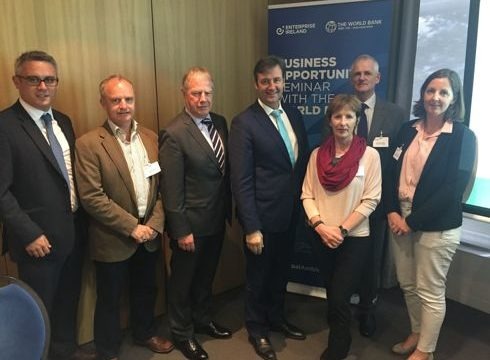 Jointly delivered by the Department of Finance and the Department of Foreign Affairs and Trade, the Seminar heard from speakers drawn from the World Bank Group (WBG) and from Geoscience Ireland member companies. WBG presenters included Aidan Carrigan (seconded from the Department of Finance); Laura Dorling of the Ireland-Canada- Caribbean Directorate and John Williams of WBG Procurement Division. With membership of 189 countries and offices in 130 locations, WBG has an portfolio of c $80Bn and an annual project spend of $14-24 Bn. New procurement procedures enabling greater operational flexibility and transparency are being rolled out by WBG; new Procurement and Finance Apps enable easy access to tenders and awards. Ireland has won a very modest $38M in projects in recent years, mostly in consultancy services to transport, water and sanitation and extractive industries. 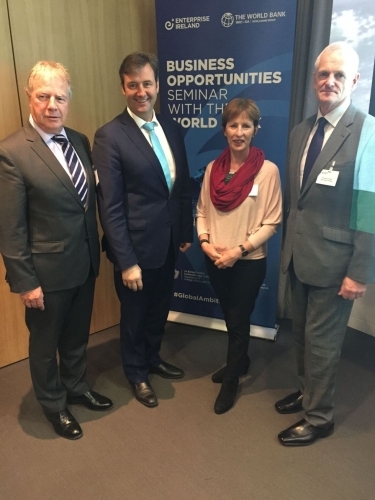 The Seminar heard case histories from leading providers to WBG, Nicholas O Dwyer Consulting Engineers and SLR Consultants, both members of Geoscience Ireland (GI). In addition, Compass Informatics outlined its development of a Procurement Hub for GI. 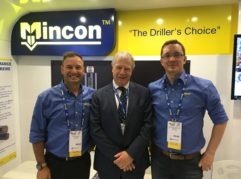 Other GI members attending were Lisheen Technical Mining Services, Fehilly Timoney &Co and JB Barry Consulting Engineers. Speakers Kevin Sherry and Enda McDonnell outlined Enterprise Ireland supports for companies seeking market diversification and validation while Alma Ni Choighligh of the Department of Foreign Affairs and Trade emphasised the need for a Team Ireland approach in developing our exports, using the network of 80 embassies and consular offices along with over 40 state agency offices overseas. Michael D’Arcy TD (Minister of State at the Department of Finance) outlined Ireland’s continued support for International Financial Institutions and their development goals and indicated that 2019 should see Ireland joining the African Development Bank. 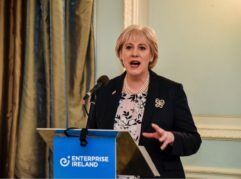 He confirmed recently announced government policy to Double Ireland’s Global Footprint and the importance of connected and coordinated approaches to export markets.